Vincent Security | Are Crimsafe Screen Doors Pet Friendly? Are Crimsafe Screen Doors Pet Friendly? When it comes to security installations, Crimsafe is the leader of the field. With a unique patented design, Crimsafe screen doors offer an unrivalled level of security. But that is not the only benefit of Crimsafe. Crimsafe screen doors also look great, and do not interrupt your view. However, when you fit security features to your home you have more than just looks to think about. The main reason to install security features is for your safety and the safety of your family. 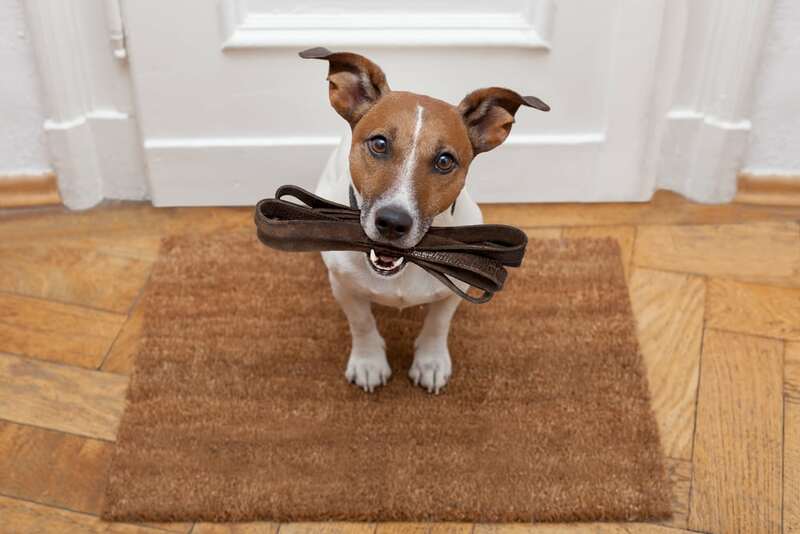 For many, family includes a pet and not all security installations are pet-friendly. Our furry friends do need some special care from time to time, and it is important to consider them when adding things around your home. Fortunately, Crimsafe screen doors are pet-friendly. They have a number of unique features that work not only to your benefit but also to the benefit of your pets. Unlike most screen doors, Crimsafe screens are constructed using a patented screw clamp design. Essentially, this locks the screen into the frame in a manner that affords the door unrivalled strength. The screen itself is constructed from high-grade steel mesh, which is powder coated in a black colour. This has many obvious advantages. The steel is far stronger than any nylon mesh, which means that it cannot be cut. Furthermore, the screw clamp design means that the screen door can withstand a high degree of force without breaking. This is obviously intended at keeping intruders out, which it does to great effect. However, there is another advantage that this strength offers: durability. Being stronger than any alternative, Crimsafe screen doors are able to withstand the general wear and tear of family life, as well as malicious attacks. This wear and tear includes that which is often a result of inquisitive pets. Cats and dogs alike are known to scratch, and sometimes even climb, screen doors. If you have a nylon screen door, then this can be catastrophic. The sharp claw of your furriest family member can easily tear through nylon. With Crimsafe, this is simply not going to be an issue. This also means that there will be no nylon mesh scattered around your home. Curious pets and small children alike can easily be tempted to eat bits of nylon mesh that might be lying around, which is a safety hazard. Crimsafe screens circumvent this issue, making them pet friendly additions to your home. Most security installations are constructed with one thing in mind: security. While security is undoubtedly the most important aspect of a security screen, there are other things to consider too. With the right design, proper materials and great installation, Crimsafe security screens are a more versatile security product than many others. In most cases, these screens are made to order, which means that they fit in to your place perfectly. As a result, they are tailored precisely to your needs, and your needs alone. When you get a quote for Crimsafe security screens, a security expert will measure the doorways in your home. This allows them to develop a plan and make your security screen door to order. During this stage, you might want to ask them about any possible custom options, such as a cat flap. Whether or not this is possible will depend on a number of factors, but it might be worth asking if you need to make your home accessible to your pet. Crimsafe security experts have an unrivalled knowledge of their product. As a result, they will be able to share their wealth of knowledge with you and offer some great advice. Nylon screen doors seem to attract mould, dust and cobwebs. Being of a weaker construction than Crimsafe, these screens are often far more challenging to clean. It is hard to wipe them down with sufficient force to remove the mould and dust, as they are often poorly reinforced and susceptible to damage. This means that they harbour potentially harmful mould or mildew. This can be problematic for some animals, as they may have a poor tolerance to such substances. Likewise, the harsh cleaning agents that are necessary to remove mould and mildew are often unsuitable for households with animals. Crimsafe screen doors, on the other hand, are very easy to clean. Your security expert can provide you with details on how to clean your Crimsafe screen. There are many effective methods available to you that do not require harsh or potentially harmful cleaning products as well. If you work full time, as many people do, then leaving your pet at home can be a source of concern. If you have an indoor pet, then you will undoubtedly be searching for a way to keep your pet cool during the hot summer months. Overheating is a real issue for some pets, and without proper circulation, it is a distinct possibility. However leaving the air conditioner running all day while you are out is not always feasible. Because of this, you might opt for leaving a door open, which allows cool air inside. Then, security becomes a concern. Crimsafe screen doors, you have the perfect solution. You can leave your main door open, with your Crimsafe screen door closed and locked. This will allow cool summer breezes to circulate through your home. As a result, your pet will be at much less risk of discomfort and overheating. Furthermore, you will not have to worry about security. Crimsafe screen doors are a fantastic security structure, with excellent strength. They can withstand all manner of attacks, so you can rest assured that your pet will be able to enjoy a comfortable living environment, without the risk of theft or vandalism. Overall, Crimsafe screen doors are unique insofar as their features are well adapted to more than just security. With Crimsafe, you can enjoy comfort, security and confidence that you and your whole family are protected. Do you have pets in your home? Contact the experts at Vincent Security today for all your Crimsafe security screen needs.